Dom DeLuise was an overweight, likeable comedian who appeared in several of Mel Brooks' movies when Brooks's movies were funny, and was often Burt Reynolds' on-screen sidekick when Reynolds was a big star. DeLuise's best-remembered films include The Twelve Chairs, Blazing Saddles, Silent Movie, The Cannonball Run, The End, Smokey & the Bandit II, and The Muppet Movie. A 1980 movie starring DeLuise as a fat man on a diet, Fatso, was generally panned by critics and avoided by audiences, but remains an unfairly neglected gem. DeLuise's first professional work was in the role of "Bernie the Dog" in a children's play, and he starred in the 1968 Broadway production of Neil Simon's Last of the Red Hot Lovers. On TV, DeLuise played private eye Kenny Ketchem (get it?) on NBC's Saturday kiddie show The Shari Lewis Show. He was a regular on the sketch comedy show The Entertainers in the mid-'60s and The Dean Martin Show in the early '70s. His own brief sitcoms include Lotsa Luck in 1973, The Dom DeLuise Show in 1987. 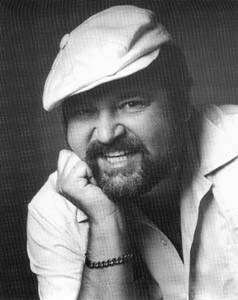 In the early 1990s, DeLuise hosted one of the myriad revivals of Candid Camera, and in the mid-90s viewers were Cooking with Dom Deluise. In his last years, DeLuise did lots of pleasantly manic voice work for animated features and series, including The Secret of NIMH, An American Tail, All Dogs Go to Heaven, and other cartoons and related sequels, series, and video games. In 1984, DeLuise, a Brooklyn native, was named "King of Brooklyn" by local civic leaders. He also sang opera in Die Fledermaus with the New York Metropolitan, and wrote two cookbooks, Eat This and Eat This Too.